Maryland Attorney General Brian E. Frosh is backing Maryland state Sen. Roger Manno (D-Silver Spring) in the open competitive House race in Maryland’s 6th Congressional District. Manno, who has represented District 19 in the state Senate since 2011, served alongside Frosh, a former state senator from the neighboring District 16, for four years. Both Manno and Frosh are revered as progressive champions among a wide swath of Maryland Democratic activists. “Attorney General Frosh has been a friend and a mentor to me for many years. We’ve fought injustice together and worked to make this world a better place. I could not be prouder or more honored to have his support in this important election,” Manno told A Miner Detail on Thursday afternoon when reached for comment. A Miner Detail is the first media outlet to report Frosh’s endorsement of Manno. Manno, an attorney and former Capitol Hill staffer, is positioning himself as the progressive alternative to the moderate millionaire liquor retailer David Trone and state Del. Aruna Miller (D-Darnestown). 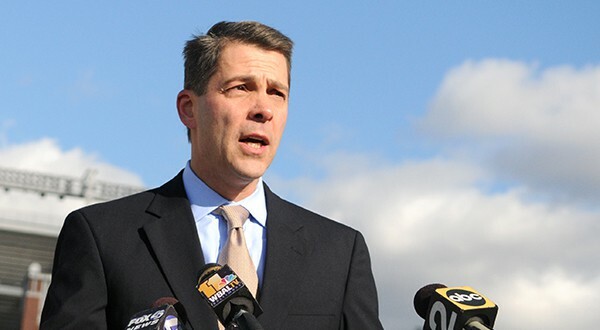 In addition to Trone and Miller, Manno faces off against fellow Democrats Andrew Duck, a retired intelligence officer and former congressional candidate; economist George English; Chris Graves, a Montgomery County businessman; Nadia Hashimi, a pediatrician and best-selling author; and Chris Hearsey, an aerospace executive. The Republican race is less congested and more predictable: Amie Hoeber, a former Pentagon official under President Ronald Reagan and defense contractor – the 2016 Republican nominee in the 6th Congressional District – is largely expected to wrap up the nomination against the three lesser-known Republicans Lisa Lloyd, Kurt Elsasser and Bradley St. Rohrs. A Miner Detail shares Manno’s press release announcing Frosh’s endorsement. 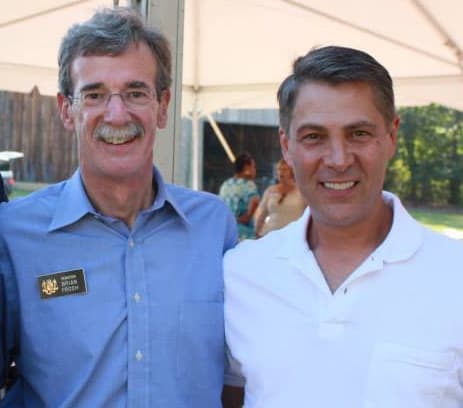 Montgomery County, MD – Today Senator Roger Manno received the endorsement of Maryland Attorney General Brian Frosh in Manno’s campaign for the 6th Congressional District. This is Attorney General Frosh’s first endorsement for Congress this cycle. A self-described “People’s Lawyer,” Frosh is the first current statewide elected official to endorse in the race. 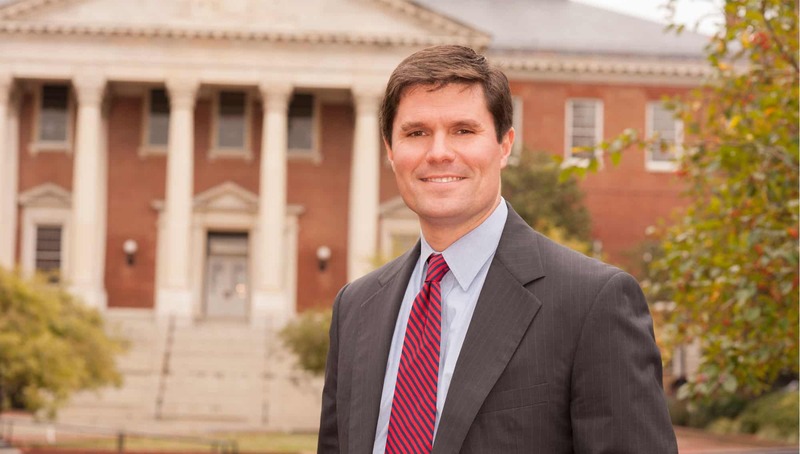 The endorsement carries extra resonance in the 6th Congressional District by virtue of Frosh having represented Montgomery County for 28 years in the Maryland General Assembly. Attorney General Frosh’s endorsement is the latest in a long list of endorsements of Manno’s campaign for the Sixth Congressional District, including: National Nurses United, International Association of Fire Fighters – Maryland, the State Fraternal Order of Police-Maryland, Progressive Maryland, Progressive Neighbors, Our Revolution, Former Maryland Speaker Cas Taylor, Former U.S. Senator Joe Tydings, Baltimore Washington Building and Construction Trades (C.H.O.I.C.E), Food and Water Action Fund (Food and Water Watch), Service Employees International Union Local 500, Service Employees International Union Local 32BJ, Montgomery County Green Democrats, United Food and Commercial Workers Local 400, United Food and Commercial Workers Local 27, United Food and Commercial Workers Local 1994 (MCGEO), Communication Workers of America – Maryland State Council (all Maryland locals), Teamsters Joint Council 62, Teamsters Joint Council 55, Teamsters Joint Council 730, Teamsters Local 639, Montgomery County Volunteer Fire and Rescue Association, LiUNA Baltimore-Washington Labor Council, International Alliance of Theatrical Stage Employees Local 22, International Alliance of Theatrical Stage Employees Local 868, United Association (UA) International United Association Local 5, United Association Local 486, United Association Local 489, United Association Local 602, United Association Local 669, International Association of Sheet Metal, Air, Rail and Transportation Workers (SMART), International Brotherhood of Electrical Workers Local 26, International Brotherhood of Electrical Workers Local 24, International Brotherhood of Electrical Workers Local 307, International Union of Painters and Allied Trades District Council 51, International Union of Elevator Constructors, Heat and Frost Insulators and Allied Workers Local 24, International Union of Operating Engineers Local 77, Amalgamated Transit Union, Frostburg State University Democrats.